- Have the opportunity to learn about the various challenges of managing computing labs. -Meet their colleagues from other institutions to discuss common topics and trends. which includes both the technical and the administrative areas of managing computer labs. managers, developers, and front-line staff of academic computing labs. In 2010 LabMan will be in its 11th year and will continue to be an informal, inexpensive, and friendly conference designed for people associated with the maintenance of computer workstations in colleges, universities, K-12 school districts or libraries. It is the goal for each ensuing conference to continue this tradition, while enhancing the content of the presentations and enjoyment for each participant. 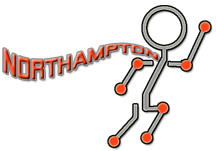 In 2010, LabMan will be held at Northampton Community College in Bethlehem, Pa. The conference is being sponsored by NCC's Computer Services department, as well as all of our Partners and Vendors. Importantly, attendees will have the opportunity to meet their colleagues from other institutions who, like them face various challenges in putting together technology in academic computing labs and classrooms for the wide variety of needs each institution faces. Because of the casual nature of this conference, the schedule will provide ample time for questions and answers during and after the presentations. Invariably, the discussions will extend beyond the presenter and the attendees are encouraged to exchange information. We hope that the attendees will find these interactions to be very valuable. Internet access will be available at the conference in our labs and around campus. The conference will be held in the same building as our computer labs and wireless access is available throughout the college. The Great Lakes Academic Computer Lab Management Conference was started at Wayne State University in 2000 to fill a void. The staff at Wayne State's Undergraduate Library were frustrated with the lack of on-the-job human exchanges. Electronic communication was insufficient and the existing conferences failed to adequately focus on issues involving the management of computer labs. So they decided to host a conference focusing on these needs. The conference was relatively small, to allow for plenty of interaction between participants. The conference focused on issues surrounding public computing in an academic environment. The conference continues to be inexpensive, to allow those who cannot afford to attend the existing large-scale conferences to participate. In 2001, the conference moved to the Indiana University-Purdue Universities, Library. The newly dubbed LABMAN more than doubled in size yet kept its simple roots. It remained a single-track conference focusing on issues revolving around the management of public computers in an academic environment. The Labman conference has traveled to several highly respected universities throughout the Midwest. Computer lab managers & staff are encouraged to attend from all across the Nation & abroad.